PD DI Dr. Martin Kampel was born in Steyr/Austria in 1968. He received the B.Sc. in Data Technologies and Computer Science, the M.Sc. degree (Diplomingenieur) in Computer Science (Computer Graphics, Pattern Recognition & Image Processing) in 1999, the Ph.D. degree in Computer Science in 2003, and the “venia docendi” (Habilitation) in Applied Computer Science in 2009, all from the Vienna University of Technology. Today, he is senior scientist (Privatdozent) at the Computer Vision at the Institute for Computer Aided Automation, Vienna University of Technology engaged in research, project coordination, industry consulting, and teaching. His research interests are Computer Vision and Multimedia Technologies applied to Ambient Assisted Living (AAL), Cultural Heritage Applications, Visual Surveillance, and Machine Learning. He founded CogVis GmbH to successfully bring research results to market and to provide creative ideas and technology for product development. He edited 3 proceedings and is author or co-author of more than 100 scientific publications presented at several international conferences and workshops. He served in many program committees for international conferences and as member of the editorial board and referee for international journals and conferences, is member of the Austrian Association for Pattern Recognition (AAPR/ÖGM), the Austrian branch of IAPR and the IEEE . 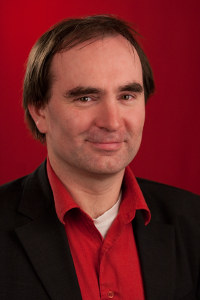 He is a legally sworn and certified expert witness for computer vision (allgemein beeideter und gerichtlich zertifizierter Sachverständiger) and a chartered engineering consultant for computer science. I am interested in computer vision and technology transfer. (Currently) my main field of interest is Active Assisted Living (AAL).